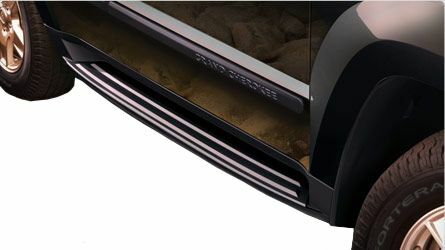 Add both style and functionality to your Jeep Grand Cherokee with molded running boards. Not only do these molded running boards add a more finished look to the exterior of your Jeep, but they also provide a sturdy step for getting into and out of your vehicle. 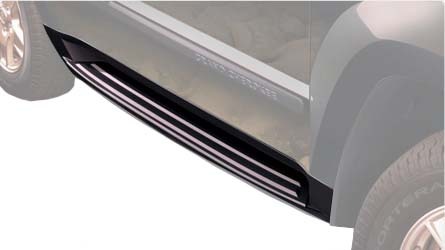 The running board has a skid-resistant surface for convenience and safety. They are black in color and come with brackets for mounting. Get a new look for your Grand Cherokee with an accessory from JustforJeeps.com that's also useful by installing a set of these molded running boards on your Jeep.